General Motors have finally found an appealing platform in the 2012 New York Auto Show to lift the curtains off its upcoming car models. 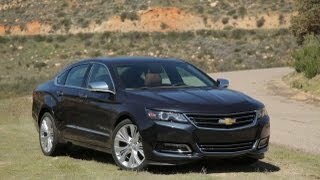 The automaker has officially showcased 2014 Chevrolet Impala at the auto show. The car is reported to feature the same chassis as that of the 2013 Malibu. 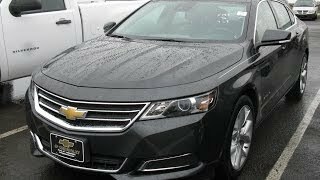 Chevrolet seems to have put tremendous effort to give an attractive appearance to the car with the best exterior designing elements borrowed from other GMC cars like Camaro and LaCrosse. 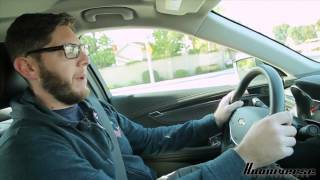 These borrowed design features has given the sedan the best possible front fascia and stylized back. The impressive exterior includes High Intensity Discharge headlights, eye-catching LED daytime running lamps (standard on LTZ trim-level) and provision of options among standard 18-inch wheels and gigantic 20-inch wheels. While taking a look on the interiors of the car, you’d encounter innovative design comprising of an integrated central stack with an 8-inch touchscreen display. The interiors induce a gamut of safety features and other controls as well, including full-speed range adaptive cruise control, collision mitigation braking, forward collision alert, lane departure warning, side blind alert zone, rear cross traffic alert, rear camera and rear-park assist. If you divert your attention to powertrain of the car under the bonnet, you’d see a 2.4L Ecotec engine with eAssist, generating a peak power of 182 HP with a maximum torque of 172 lb-ft at the Brake Specific Fuel Consumption (BSFC) of 35 mpg on the highway. The engine has been mated to a 6-speed automatic transmission. However, the automakers have provided another option for engine-power lovers. 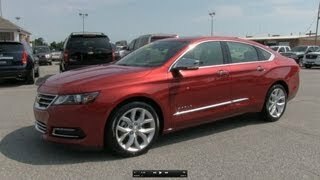 The 2014 Impala is going to be available with options of 2.5L 4-cylinder Ecotec, and a 3.6L V6 engine. The former engine (2.5L) will power the car with 195 HP and 187 lb-ft of torque, while the latter is capable of generating 306 HP for a maximum torque of 264 lb-ft. Both the engines will have a 6-speed automatic transmission attached to them. 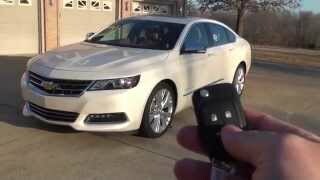 As per company officials, the 2014 Chevrolet Impala will be available in LS, LT and LTZ models, and the price and some technical features of the cars will be announced closer to the launch date of the cars.